Bill Closs He played collegiately for Rice University. In his final year, he led the Southwest Conference in scoring and was named an All-American in 1943. After graduation, Closs joined the Marine Corps and served in the Pacific during World War II. After a strong rookie season with Indianapolis in the National Basketball League, Closs signed as player-coach of the Houston entry the newly formed Professional Basketball League of America. The new league folded after just three weeks and Closs returned to the NBL. 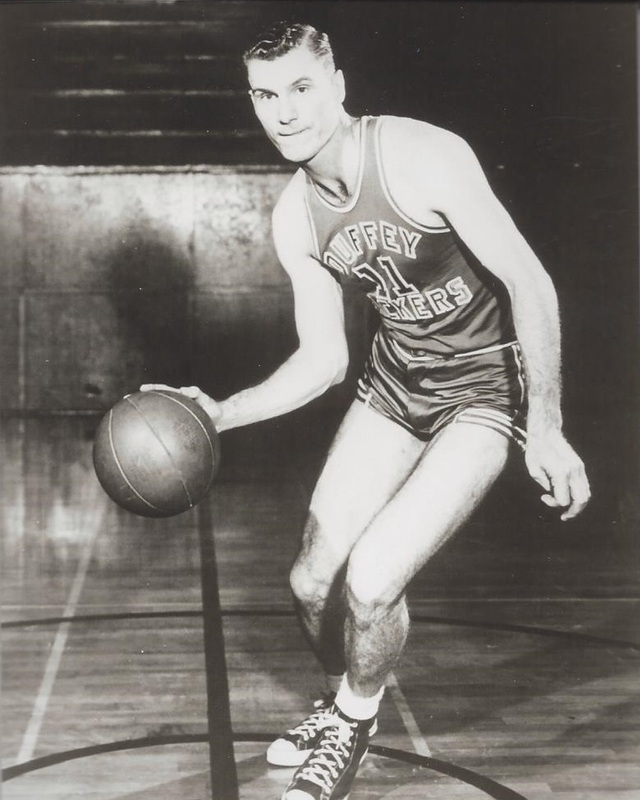 Closs never attained star status during his six year pro career, but he was a valued player and still in demand when he decided to retire in 1952 to enter business. Following the conclusion of his professional basketball career, Closs enjoyed over 35 years of success in the sporting goods industry . Thomas William Closs Born: Jan 8, 1922 Died: Jun 6, 2011 Hometown: Hearne, Tx.